Whether you are planning a family reunion, baby shower, or a birthday party, you need to keep everything organized. 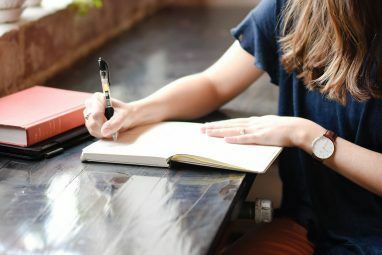 With the terrific features offered by Google Keep 10 Creative Ways to Use Google Keep Every Day 10 Creative Ways to Use Google Keep Every Day Google Keep is a simple note-taking app. But its simplicity hides its usefulness. Here are ten tips and ideas to use Google Keep for the little everyday things in life. Read More , you can collaborate, annotate, and create lists, all quickly and easily. Here’s how to use Google Keep and make sure that your event goes off without a hitch. No matter what type of event you are planning, you are getting input from others How to Easily Collaborate on Google Drive with Online Annotation How to Easily Collaborate on Google Drive with Online Annotation There are specialized annotation web apps available that integrate with Google Drive and make communicating with others about your document easier. We look at the best annotation tools for Google Drive. Read More . From a company picnic to a weekend retreat, you can share, capture, and save everyone’s ideas. Let’s say you and a coworker oversee the company picnic. To make sure everybody has a great time, you want to plan some fun activities. Create a note called Activities and you and your fellow planner can each add suggestions. Just click the collaborator icon on the note and enter your coworker’s email address in the pop-up box. They will receive an email with the title of the note and a link to open it in Google Keep. For that weekend retreat, you and several others may want to work on the itinerary or schedule together. Create your Schedule note and follow the same steps as above to share it. Then, any updates your collaborators make will appear automatically along with the time. Keep in mind that if you have more than one person helping, you can add several collaborators. Plus, you can use this sharing feature with several additional features below like annotations and lists. Google Keep has a handy annotation feature that can help you annotate photos, images, and documents to get the perfect result for your event. First, click the Add image button to upload your file and when you are ready to edit it. If you are planning a bridal shower for your best friend, getting the invitations and menu just right are important. Maybe you scanned a photo of the invitation or received an image of the menu from the caterer. Just click the image in the note and then select the Annotate Image icon from the top right. The image will then open in a small window with pen, marker, and highlighter tools. Perhaps you want to use a seating chart for the event you are planning like an engagement party for your daughter. You can use different colors to indicate seating for friends, each side of the family, and the head table. Using colors is also convenient if you are collaborating. You can assign each person a different color for their edits for easy organizing. 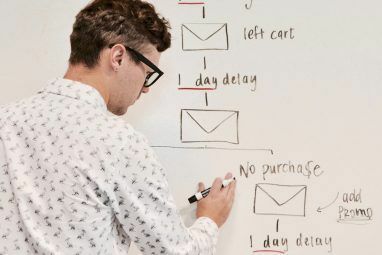 A key part to planning any event 6 Reasons to Fire Your Event Planner & Use Google Instead 6 Reasons to Fire Your Event Planner & Use Google Instead Read More is using a list. With the Google Keep checklist feature, you can stay on track and make sure that you do not forget a thing or even a person. For parties, picnics, reunions, and showers, you know that you need at least one list. Click the New list button in the new note box to begin. You can start with a guest list and use the checkbox feature in a variety of ways. Mark checkboxes as you prepare the invitations, to show those who have responded that they are attending, or to indicate those who cannot attend. No matter how you use the checkboxes, just be sure to take advantage of this handy feature. Next, you might create a to-do list for your event. Before the event, you may need to reserve a venue, order a cake, prepare the invitations, secure a caterer, and pick up the party supplies. Make a list of all tasks that need to take place before and even after the event. Another helpful list for your event is for supplies. Whether an indoor event like a baby shower or an outdoor celebration like a birthday party, you do not want to forget the supplies. And if you add a collaborator who will pick up items as well, you can mark off those you get as you purchase them. For successful event planning from start to finish, create and keep those lists handy. If you use Google Keep on your mobile device, this is perfect for marking off items on-the-go. You might need to call and confirm a venue reservation for a family reunion or mail graduation party invitations when you visit the post office next week. To assist you with these unforgettable to-dos, check out Google Keep’s reminder feature. You will probably create a note for the venue you reserved for your event with all the details inside. You include the address, phone number, photo, and cost details all in one spot. This is the perfect time to add a reminder to confirm your reservation. Simply click the Remind me button and then Pick date & time. In addition to time-based reminders, you can use those that are location-based on your mobile device. Pop open the note you created for the invitations, click the Reminder button, Pick place, and begin typing a location. Google Search will provide results for you to select from and when you are done, hit Save. Grab your phone and when you arrive at that location, you will receive a reminder. Regardless of how big or small your event is, you will always have items that you need to remember, and Google Keep’s reminder feature is there to help. If you are planning a multiple-day event, like a high school or family reunion weekend, an itinerary can be useful How to Use Google Keep to Organize Your Travel Plans How to Use Google Keep to Organize Your Travel Plans Give Google Keep a try for planning your next trip. The simple Google app has terrific note-taking features that helps to keep all your travel details organized in one place. Read More . Google Keep has direct integration with Google Docs which allows you to convert any note into a document that you can print or send to all attendees. To do this, click the More (three-dot) icon on the note and select Copy to Google Doc. A pop-up box will display for you to open the item a new tab. You will then see your note, list, or image copied to a new document in Google Docs. You can update the document to adjust and include relevant details. Then, share the itinerary so that fellow planners can make comments or edits as well. When you are finished, you can download or print it quickly. And if you use Google Docs on your mobile device Word Processing In Google Docs? 5 Important Tips To Keep In Mind Word Processing In Google Docs? 5 Important Tips To Keep In Mind For the majority of my life, Microsoft Word was the word processing tool to use if you were going to do any serious work. 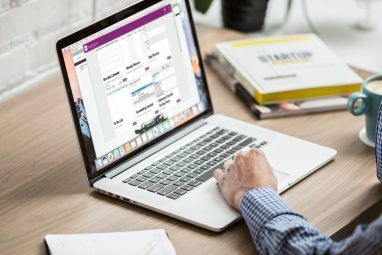 Sure, there were alternatives like Corel WordPerfect and later on OpenOffice,... Read More , you can access the itinerary throughout your event. You can use these additional Google Keep features to keep your event organized. Color-code your notes How to Better Organize Notes in Google Keep With Color Coding How to Better Organize Notes in Google Keep With Color Coding Google Keep is great at taking simple notes, but it's not always the best for organization. Here's how to make it easier on yourself. Read More so that all items related to your event can be seen at a glance. Create labels to group similar items for your event like Food or Entertainment. Pin notes to keep the most important items at the top of your list or grid view. When you are planning an event, the last thing you should worry about Weddings Are Stressful: 12 Websites for Stress-Free Planning Weddings Are Stressful: 12 Websites for Stress-Free Planning While wedding planning will never be easy, it certainly doesn't have to be stressful. How much easier wedding planning can be if someone just pointed you to the right tools. Read More is how and where to keep all the pieces together. With a tool like Google Keep, you can share the planning, mark up materials, and have a safe place to organize everything without the worry. Plus, if you use the mobile app, you will have your event notes wherever you go, even when you are offline. 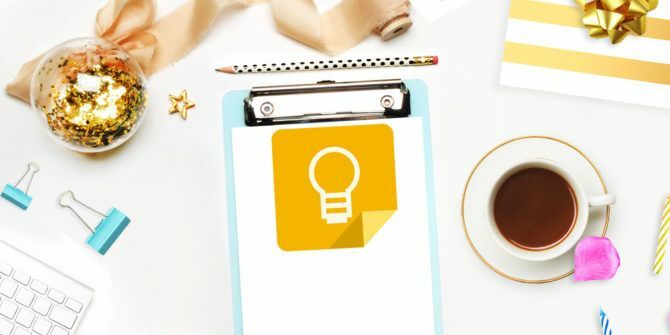 Have you tried planning an event using Google Keep? If so, which features helped you plan and organize the most? Explore more about: Google Keep, Note-Taking Apps, Planning Tool, To-Do List.